First it was my appetite. I was nauseous and feeling horrible and nothing sounded good except for smoothies and salty crinkle cut chips... don't even think about straight cut chips - they're disgusting to this iron overloaded body. So smoothies I drank and salty chips I crunched. Next, Jesse and I were trapped in the city in this car park maze where we had to walk a tightrope to get across the shopping centre to the right carpark to find our car and I went the wrong way only to wibble and wobble my way past people going the wrong direction to get back to Jesse. I told you, crazy - and that's only the start of it. But there is a plus side to the craziness. I've been drinking a wholeeeeeeeeee lot of delicious smoothies. 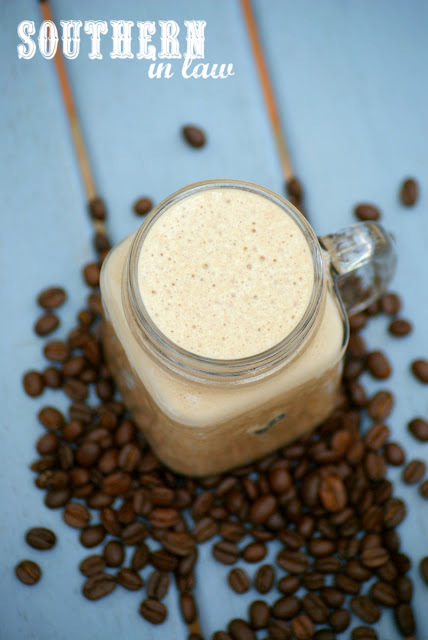 This Healthy Iced Coffee Protein Smoothie Recipe is soooo delicious and so simple to make - and you can easily make it your own by adding in extra flavours and mix ins to suit your tastes. 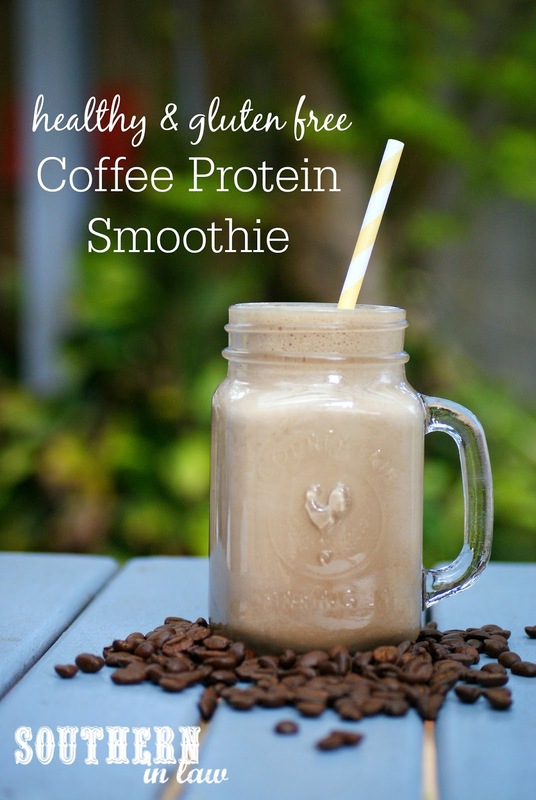 It can be an iced smoothie, regular smoothie or a hot drink - depending on how you'd like it! Just add some ice, keep it straight or heat up your milk before blending. 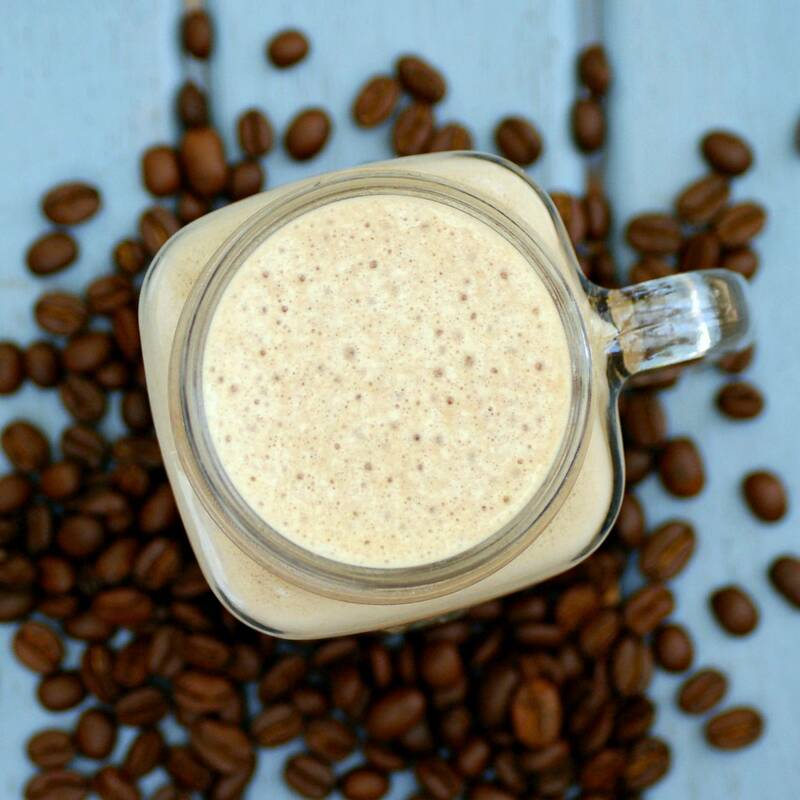 We cannot stop making this Healthy Coffee Protein Smoothie Recipe. Made in seconds, it is quick, healthy and oh so delicious. Low fat, gluten free, high protein, clean eating friendly, sugar free, vegan option, low carb and grain free too! Place all of your ingredients into a high powered blender and blend until smooth! We blend ours in our Omniblend for 35 seconds and that's all it takes! Pour your smoothie into a large glass and enjoy! But tell me, what's the weirdest dreams you've had lately? And what's one food/drink you can't stop eating at the moment?